The world wide directory of Sukkahs has been published online marking its 21st year of operation. The directory has been designed for Jews to locate a Sukkah near to them, so that they can go there to eat. The idea of this service is not to list every Sukkah, but to try and have a Sukkah listed for every area in which Jewish people may find themselves during Sukkos. The main focus of this service is to enable people who work on Chol-Hamoed to eat lunch in a Sukkah which is close to their place of work. As all listings are confirmed annually prior to publication, the benefit of the list is that users of it can be almost certain that the Sukkah that they wish to use is indeed available prior to heading there. The list also includes details of numerous Sukkahs that would otherwise remain unknown to many users of the list. Find a Sukkah near you at www.localsukkah.org. The worldwide list of Sukkahs began in 1994, as a local service to the Jewish community in Melbourne, Australia. In the first year there were only nine Sukkahs on the list as it was organized only a few days before Sukkos. Last year there were 472 Sukkahs listed, located in 25 countries. These Sukkahs were mainly located in shuls, schools, and businesses. The list also included some Sukkahs located in shopping centers, universities, and amusement parks. In Melbourne the service was initially nicknamed the “Sukkah at Work project”. 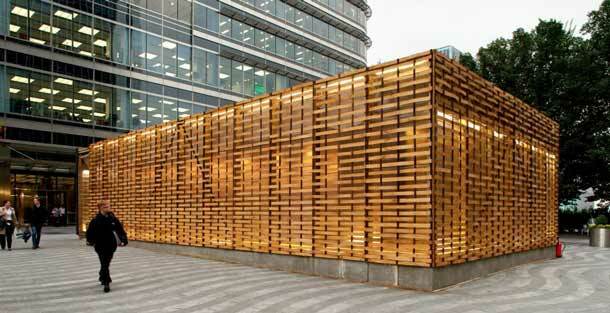 The list was started, after it was realized that there are many Sukkahs in workplaces that nobody knows about. The person who suggested the compilation of the list, pointed out that a few friends of his had not been able to eat a proper lunch on Chol-Hamoed as they had no Sukkah at their workplace and did not know that he had a Sukkah nearby that he was willing to share. The list publicizes all Sukkahs regardless of the affiliation of their owners, and all Jews are welcome at any of these Sukkahs. The idea of this project is merely to promote achdus (Jewish unity), and to help other Yidden. There is no charge for this service. In 2011 Android and Apple Apps were released for this service, making it even easier for people to locate the nearest registered Sukkah. If you have a Sukkah that you would like to register, you can do so by sending an email with the details to register@localsukkah.org.